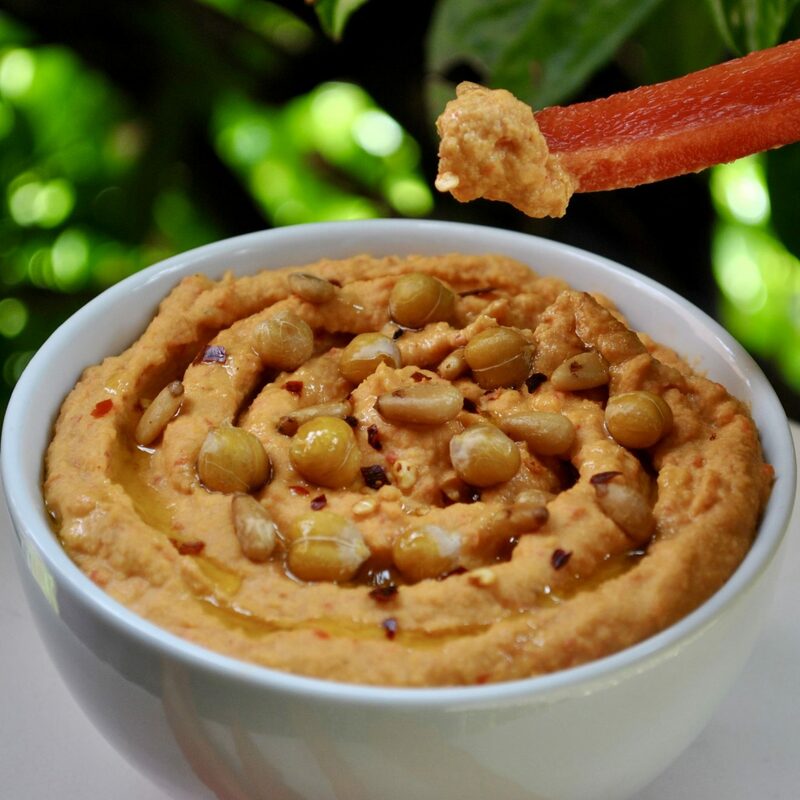 Hummus is one of my all-time favourite foods, with it’s addictively creamy consistency. 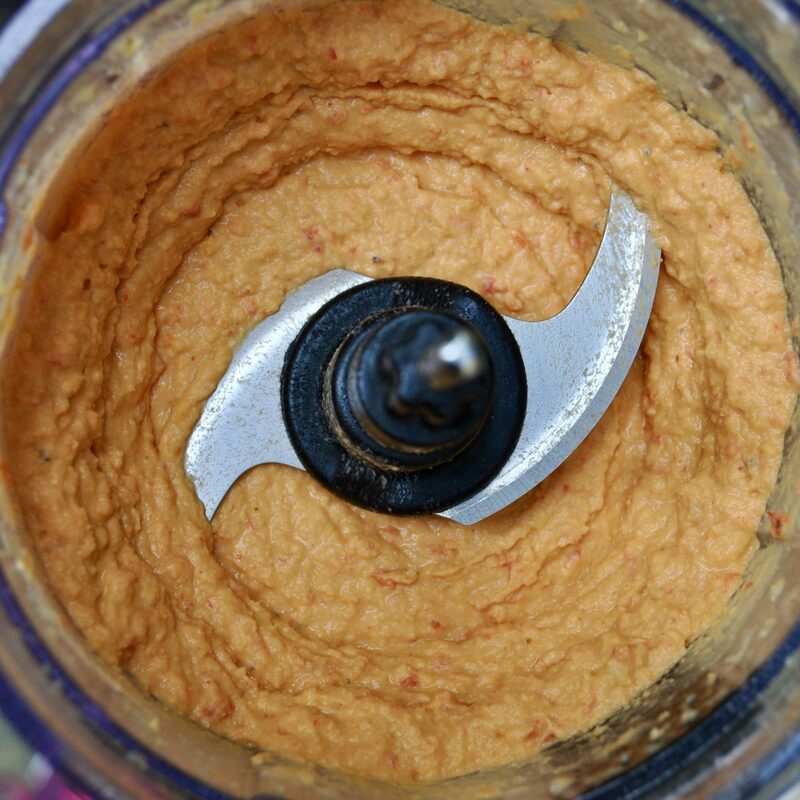 It’s so versatile and I love experimenting with different takes on it – although my Classic Homemade Hummus will never get old. This time I’ve roasted red peppers and blended them in with the chickpeas, tahini, olive oil, fresh lemon juice and a selection of herbs and spices. Feel free to play around with the ingredients too – why not blend in pinch of Homemade Za’atar or a squeeze of lime for a tangy twist? 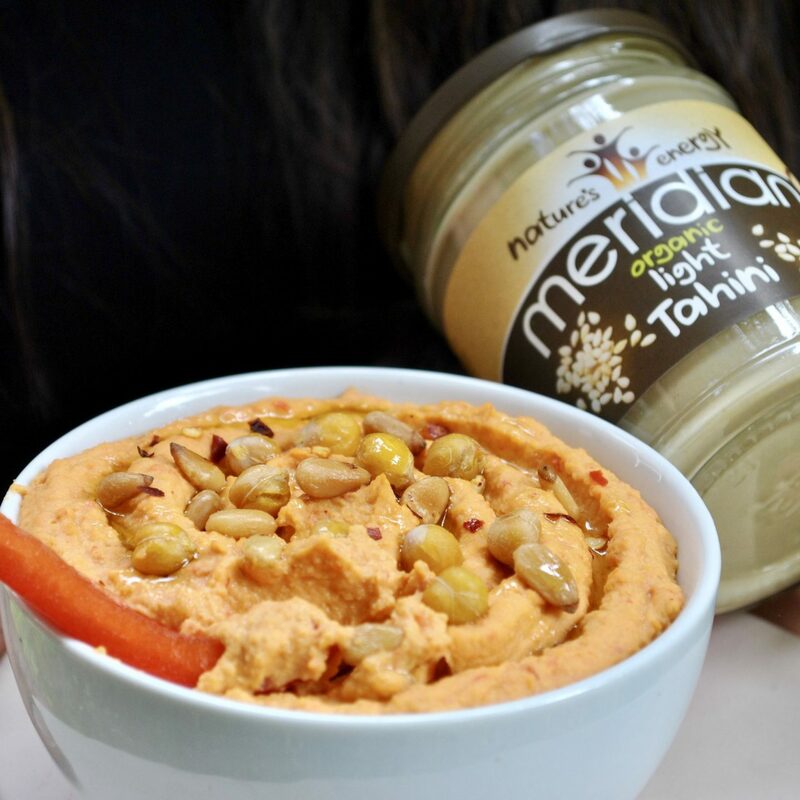 This recipe was developed in collaboration with Meridian Foods using their light tahini. Pre-heat the oven to 200 C and slice the peppers into large strips, discarding the core and seeds. Place the peppers, skin-side down, on a lined baking tray and grill for 15-20 minutes. Meanwhile, drain the chickpeas in a sieve and rinse under tap water. Add the tahini and lemon juice to a food processor and pulse together to create a fluffy base. Scrape down the sides, add in the rest of your ingredients except the peppers and blend until completely smooth. 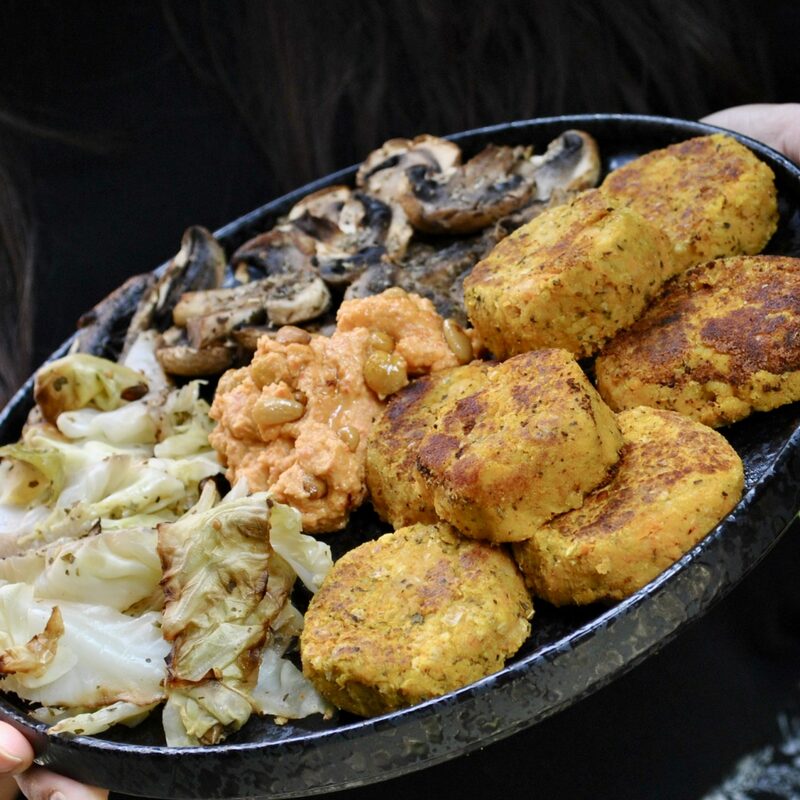 Optional: garnish with toasted pine nuts, chickpeas, Homemade Za’atar or chilli flakes. 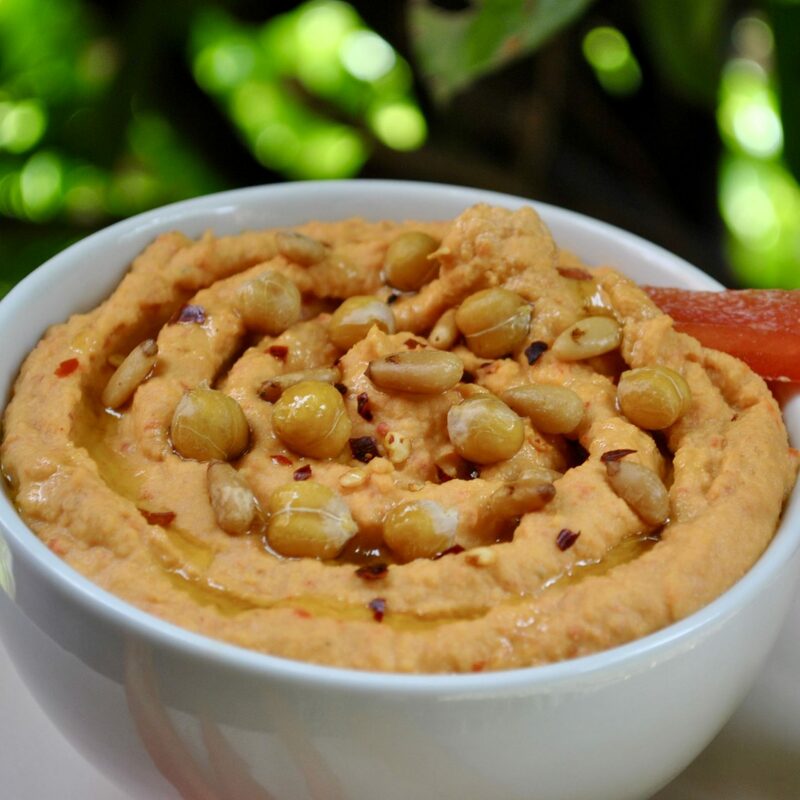 Store the hummus in an airtight container in the fridge for up to 3 days. 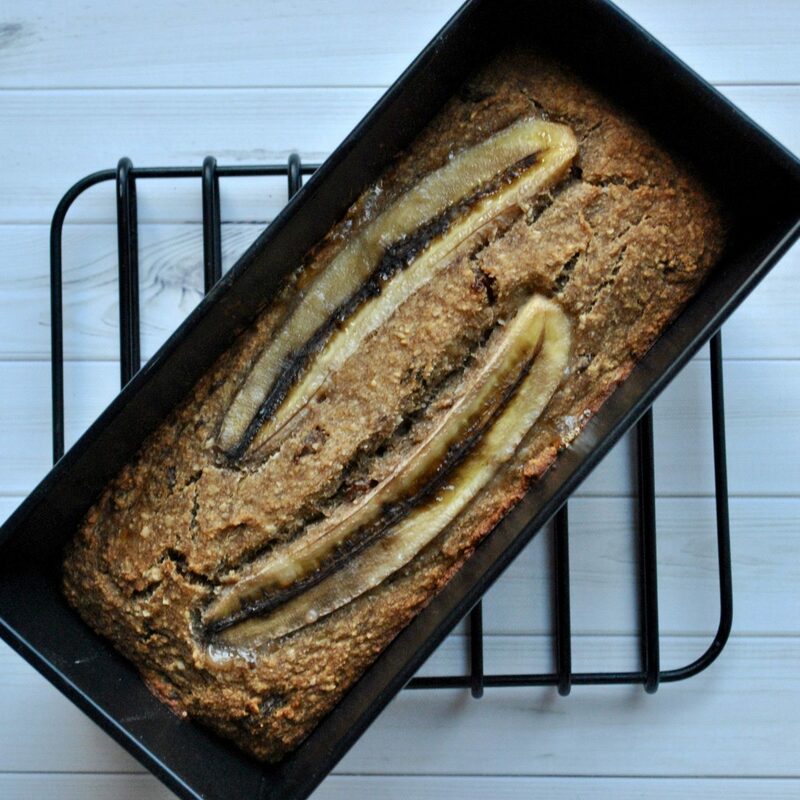 I’d love to know if you try this recipe! Leave a comment and rate it, and don’t forget to tag me on Instagram @cerealandpeanutbutter! 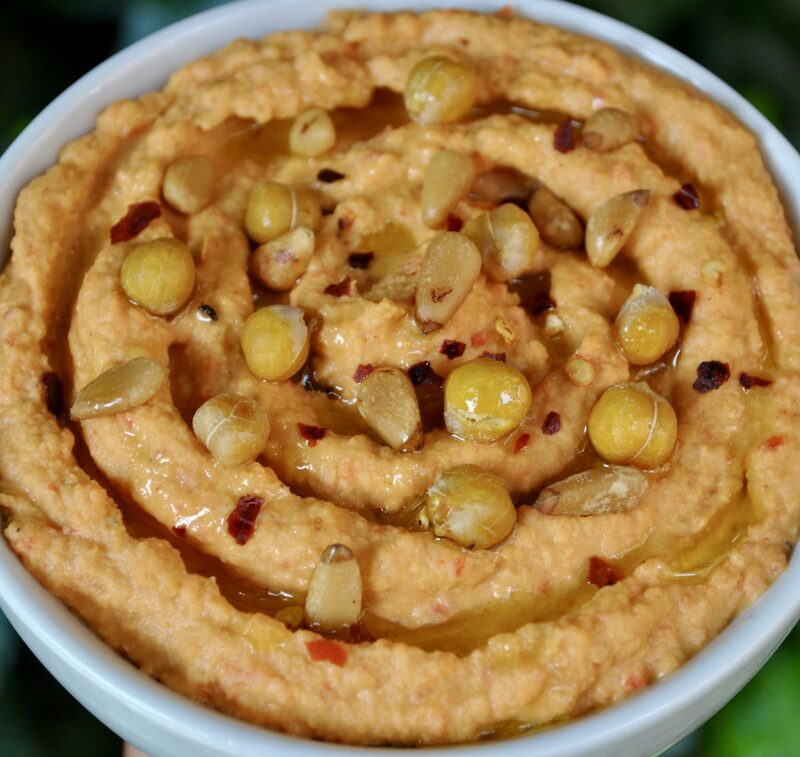 Check out my other dips like this Classic Homemade Hummus and this Baba Ganoush (smoky aubergine dip), and for more Middle-Eastern inspired recipes, try my Shakshuka (baked eggs in tomato sauce), Mediterranean Roasted Vegetables and Homemade Za’atar herbs!